But then one day a few months after moving to Boston, I was walking on the Harvard campus, and came across a handsome old building, Harvard Hall. 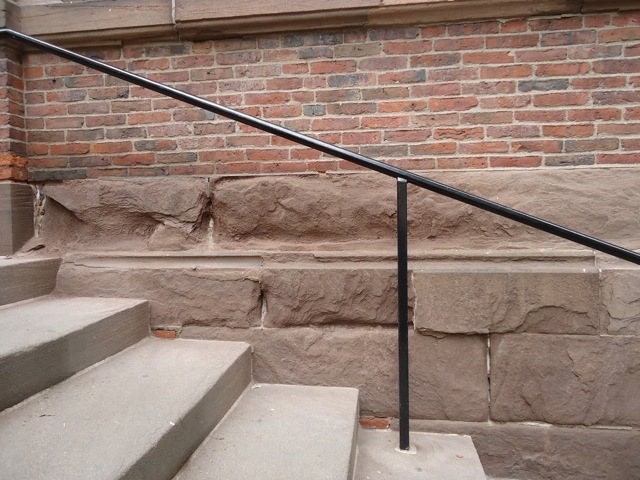 I walked up to the base and admired the reddish-brown sandstone under the brick edifice. 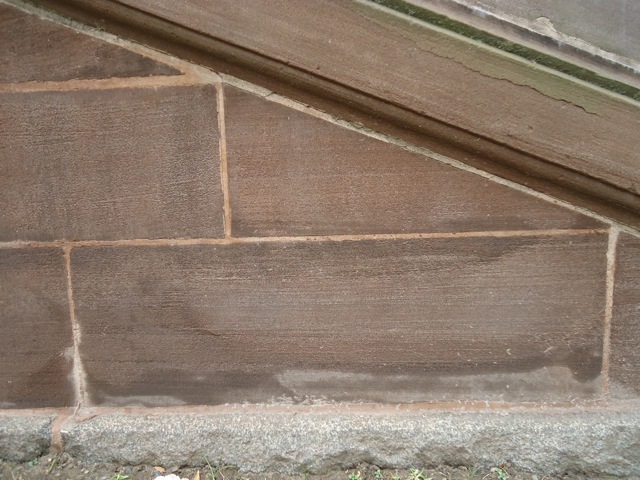 Harvard Hall had been built in 1766 and the sandstone had weathered and begun to erode. As I ran my hand over the rocks, grains of sand flicked off. I caught a few and had a great epiphany. What the easterners called brownstone was what westerners called red rock. Both are a sandstone containing a bit of iron that had weathered, or rusted, and made the sandstone red or brown, depending upon your location. I later learned that the main source of eastern brownstone, quarries in Portland, Connecticut, are in a 200-million-year old stone, coincidentally about the same age as my favorite rock in Utah, the Wingate Sandstone. Recently, I was back at Harvard and able to see Harvard Hall again. There is still brownstone at the base but in one area they have replaced the weathered stone with brand new, or at least freshly quarried stone, from the Portland quarries. I also found another darned cool rock at Harvard. It’s the stone cladding Hauser Hall. The stone is known in the trade as the Treuchtlingen Marble, a 175-million-year old limestone from Germany. 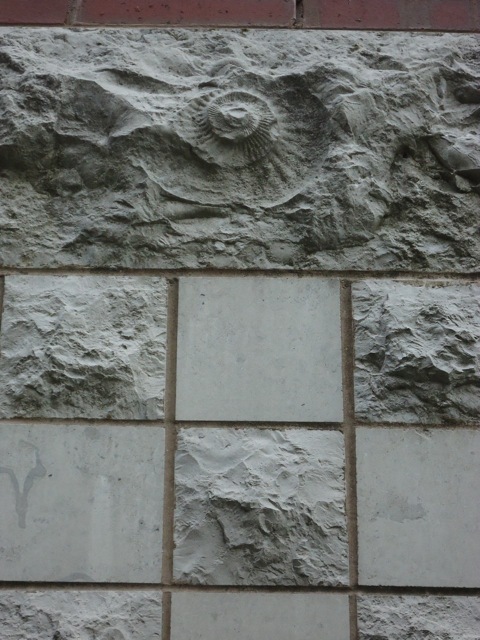 On the side of the building is a ten-inch-wide ammonite. 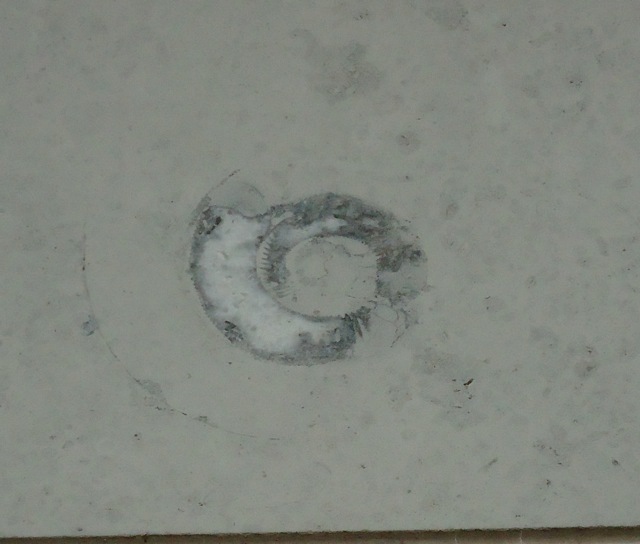 It is the largest ammonite I have ever seen in a building stone. 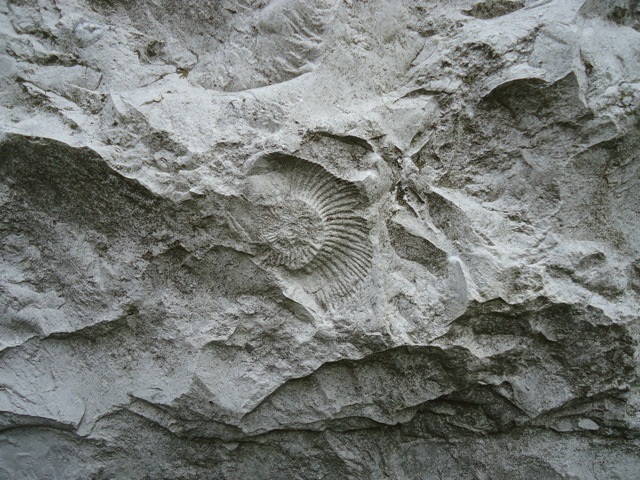 There are numerous ammonites, as well as sponges and brachiopods in the Treuchtlingen as well. These stones later led me to write my first article on building stone, for the Harvard alumni magazine, which ultimately led me to writing my book Stories in Stone: Travels Through Urban Geology. They say you can’t go home again, but you can go back to see the stone.